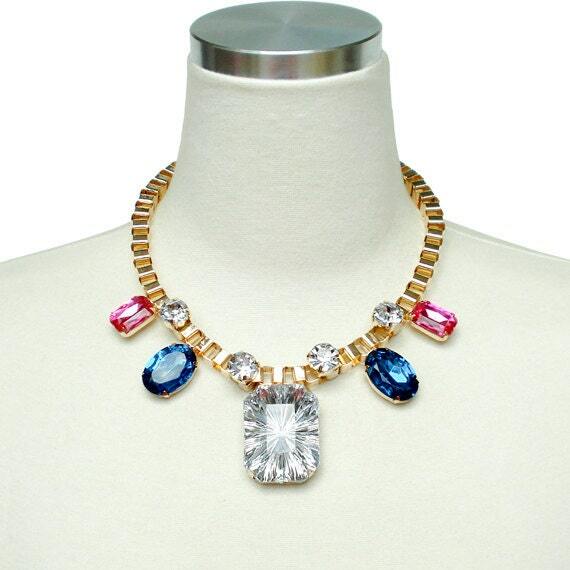 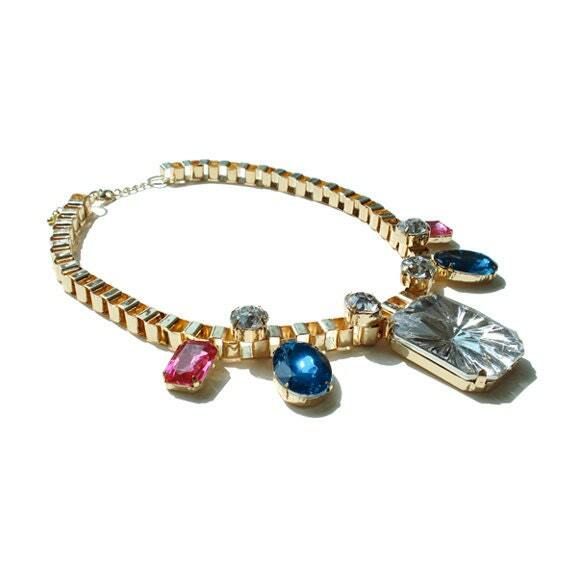 Make Statement with this chunky rhinestone necklace! 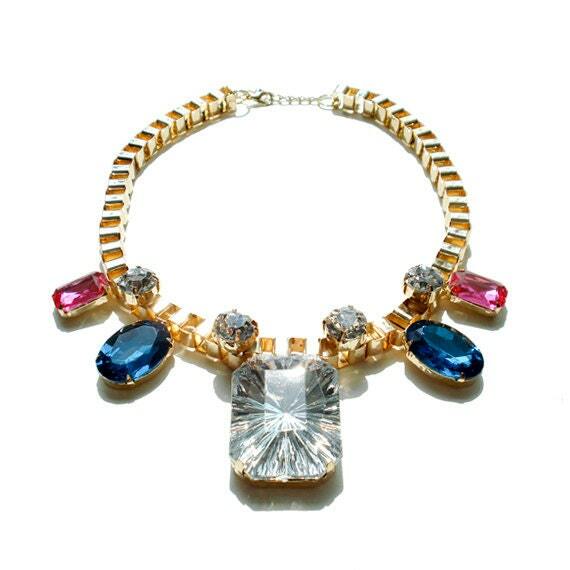 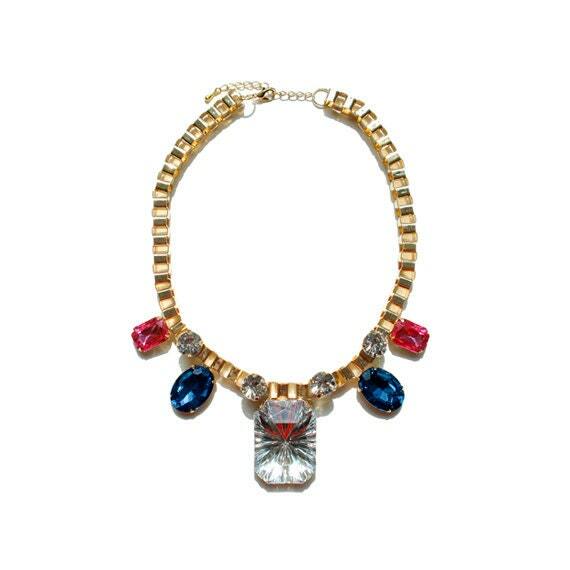 This statement party necklace will be only thing you need to get right attention. 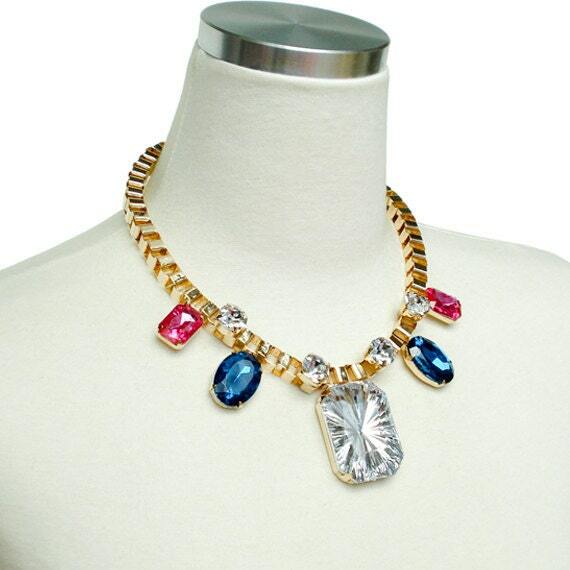 Chunky Gold finish Box chain with Huge Colorful Rhinestones to create this chunky yet simple necklace.